Parents, through the parenting choices they make and the things they do, play a huge role in the habits their child develops. Follow some of these parenting tips and advice to help your child develop habits that will improve their oral health. It can be difficult to stay positive about the dentist, especially if you are undergoing a practically painful or prolonged procedure, but try to remain positive for your children. If your children see you constantly complaining about the dentist or being afraid to go to your regular dental check-up they will pick up on it and start to feel the same way. Your children will look to you to see how they should act and what they should do, so make sure you are leading by example. The best way to lead by example is to make sure you are doing exactly what you are asking your child to do. For example, if you want your child to brush their teeth twice a day, make sure you do it too. Don’t just expect your child to do it, but you don’t. Children are more likely to want to do something if they think it is fun. Try to be creative and make the healthy habits you want your child to develop fun. Create a silly song that you sing when your child brushes their teeth. It doesn’t have to be super complicated, but it should be fun and upbeat. 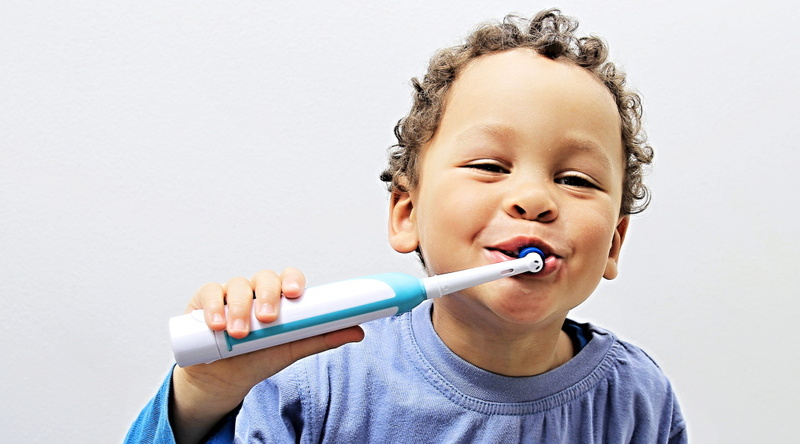 If you happen to be brushing your teeth when your child is around, make sure you sing the song! Use fun downloadable apps for brushing your teeth. There are a number of downloadable apps that can turn brushing your teeth into a game. One app, Brush DJ, plays music that your child can brush their teeth too. The music goes for 2 minutes, which is the recommended minimum amount of time you should be brushing your teeth. 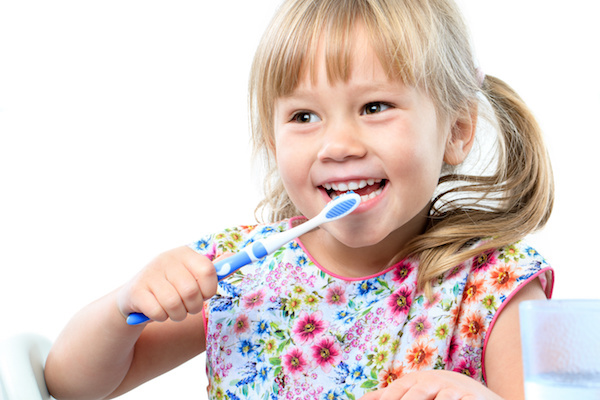 Let your children ‘brush’ their favorite doll or stuffed animals teeth at night. Of course, you wouldn’t have them actually use real toothpaste and water, but having them brush their favorite toy’s teeth will make it a fun experience. Everyone likes to receive rewards for doing a good job. Use that to your advantage when trying to get your child to learn healthy habits. Create a reward system that encourages your child to not only do something once, but to follow through with it multiple times. For example, create a reward system that gives your child a small reward for flossing once a day for a week, a medium sized reward for flossing every day for a month, and a huge reward for flossing every day for six months. The rewards don’t have to be huge or super expensive. They can be as small as being able to pick out their bedtime snack or getting a sticker to getting a new toy or having dinner at a favorite restaurant. Children like to feel like they are in control and making decisions for themselves. Don’t just tell your child what healthy habits to do and how to do them, let them work with you to customize their experiences and make it interesting for them. A great example of how you can customize their experience with healthy habits is letting them pick out their own toothbrush. Children’s toothbrushes are available in a wide variety of colors and designs. There are even toothbrushes with TV and movie characters on them. Let your child pick out their toothbrush. Not only will they feel like a ‘big kid’ for picking out their own toothbrush, but it will be something they are sure to want to use on a regular basis. It isn’t always easy encouraging children to develop healthy habits. Luckily, we are here to help. The staff at Pediatric Dentistry of Central Florida is here to answer any questions you may have or provide you with tips on how to encourage your child to develop healthy habits. Call us with any questions you may have or ask us during your child’s next dental appointment.